Few days ago, my wife told me “why is not there a 3D printed robot to help with the daily activities? It is frustrating to do the same thing again and again every day.” Then, I come across the new project, Origibot. Origibot is a 3D printed robot that can do simple home activities such as holding cups, watering plants or opening doors for visitors. Although the design of the robot is still in its early stage but the result is promising. the model that is created by using 3D printing technology contains simple arm and moving wheels, yet it is stable and able to hold light weight things. 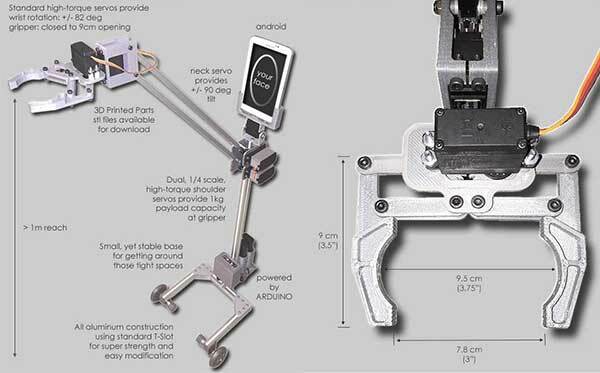 The Origibot 3D printed robot is controlled using Android mobile phones. The robot Arduino platform pairs with the phone using a free application. They both connect to display your photo on the phone. 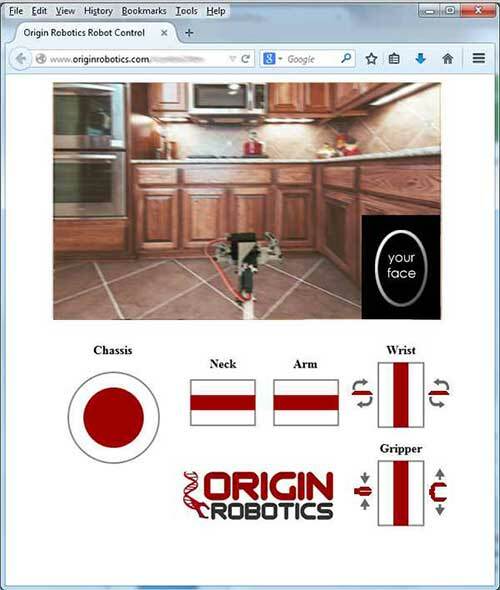 Then, you can control the 3D printed robot using cloud service that can run on any browser such as Firefox or Chrome. The web-based control application uses WebRTC which is based on Java applets technology. The user controls the robot using a joystick, which can be used to move the arm, hold things or release things. Also, it controls moves the 3D printed robot around. The user can see life view for the robot movement through the web application which uses the mobil camera to broadcast a video of the robot movement. The robot is created using the 3D printing technology and includes aluminum, stainless steel and ABS plastic parts. All the parts are gathered to form the whole robot besides step motors and wheels required for the movement. The STL files for the robot will be available online along with the instructions required for assembly and use. Additionally, the 3D printed robot is hackable, which means that you can modify it and add more commands to it to perform further tasks. This step ones the doors for more improvement for the idea and use it for further developed models of the Origibot robot. In February 17th, the Origibot will be announced as a Indiegogo project to fundraise the initiation before the commercial products. The expected early bird price is $329 for the STL files, Arduino sketch, Android app. The retail price for this version is $499. There is a Origibot Plus version, which comes with extrusion and gripper, this version costs $599 as early bird price and $899 for the retail price. The Origibot 3D printed robot is another initiative that implements that 3D printing technology. This time in a home-related activities. 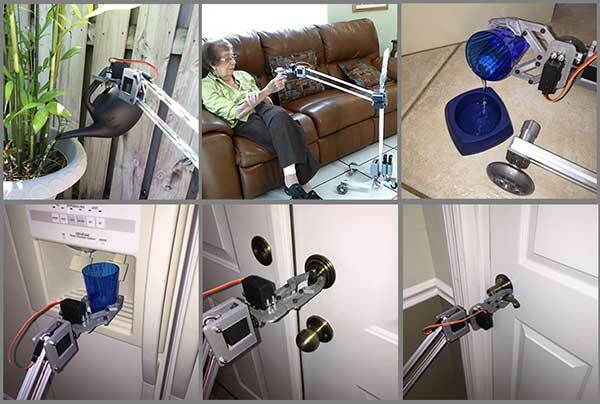 the Origibot can be used for old people or people with disabilities to help them reach their medicine or food without moving too much. In addition to the 3D prosthetics, the Origibot project can open the doors to help people through technology and make life more easier.